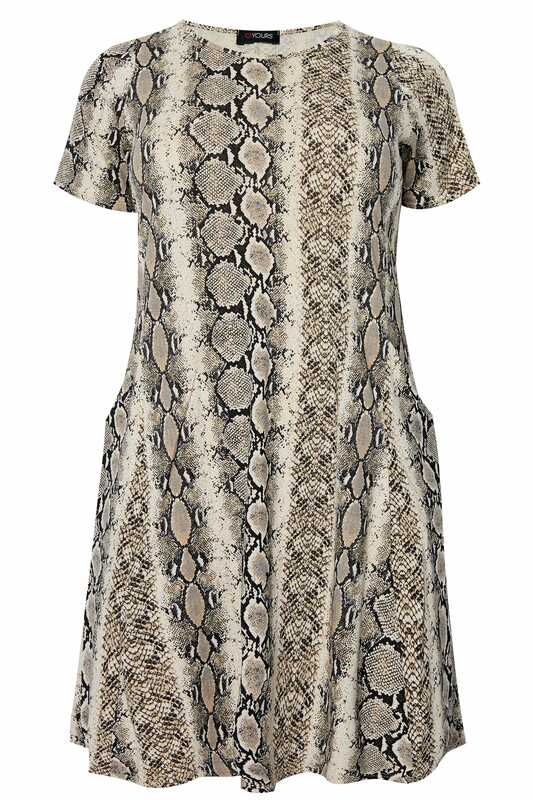 This stylish snake print dress is perfect for daytime styling. Made from a comfortable jersey fabric, it has been designed with a slight flare to the hem to give a flattering swing shape and features two front pockets. Team with a pair of mules to finish the look. 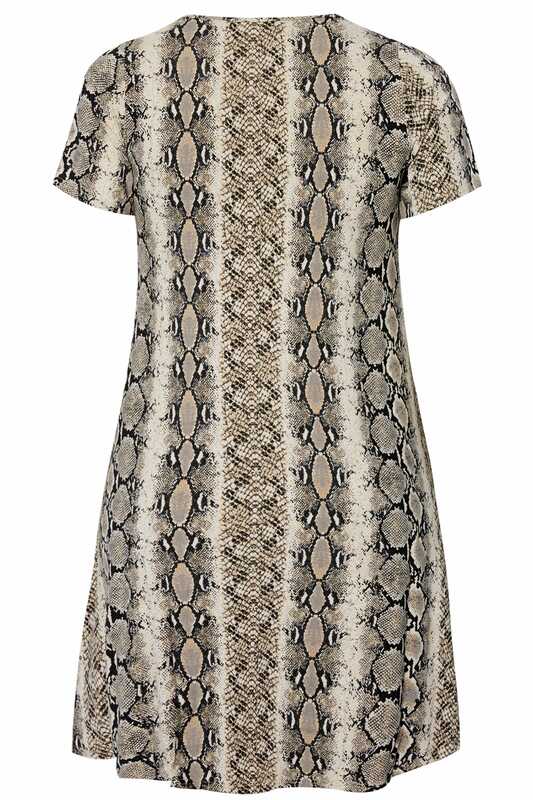 Animal print is a trend essential this season.